Over 120 guests from 50+ Analyst Firms came, see the photos. 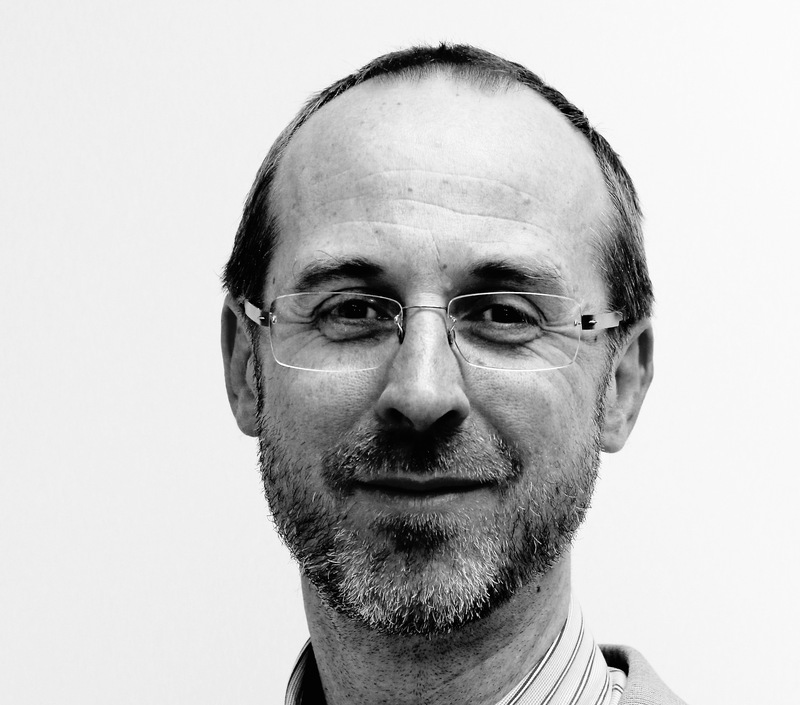 Today we ask our infamous ten probing questions of Tom Reuner (LinkedIn, @tom_reuner) from HfS Research where Tom Reuner is now the Managing Director of IT Outsourcing Research. IT and business services. My remit is to drive the HfS research agenda for the “As-a-Service Economy” across SaaS applications, cloud eco-systems and IT. Together with my HfS colleagues I will continue to develop the research around process automation and cognitive computing in both IT and business processes. As I am getting old, now and then I indulge in memories of the good old days when I started at Gartner. The industry was in its infancy and even my modest knowledge did go a long way. These days an analyst has to be a segment specialist, being able to consult on very specific problems and be perceived as influencer through social media or more traditional means. The ubiquity of social media has not only changed the channels for research but introduced the notion of immediacy. HfS is at the forefront of reinventing the analyst model and that is part of the reason why I opted to join the folks. However, the downside in the industry is the consolidated nature of the analyst space with clients gravitating toward the big brands largely to mitigate risks and play the brand equity game. Luckily there is no such thing as a typical day. Suffice it to say being German I try to be organized but any schedule is constantly being re-written by clients and industry events. Ever since I had my own analyst firm, the boundaries between work and private life are being blurred as the laptop plays a significant part in both spheres. On “quieter” days when I am not travelling even before the first coffee I check the inbox and on industry events. The morning is mostly spend tracking the industry news flow and talk to clients. In the afternoon I will try hard avoid being a master procrastinator as my lovely wife calls it and work on deliverables. The AR community is doing a terrific job battling with their internal stakeholders while feeding the insatiable appetite of us analysts for information and briefings. As for horror stories what happens in the community stays within the community. However, where I roll my eyes when companies or AR folks do a blind or unsophisticated tiering. I have worked for Gartner and I had my own firm. – which represent the extremes in the analyst food chain. Having seen one vendor having seating arrangements at a briefing where the front row was exclusively reserved for Gartner folks regardless whether they even cover the vendor was such an eyebrow moment. As a boutique firm you constantly have to differentiate and to stay ahead of the market. At HfS, we’re the leading analyst authority and knowledge community for the global services industry. We also exist outside of the walls of the CIO’s office and cover business operations, such as finance, HR and supply chain, while most of competitors are still firmly stuck only covering IT and technology speeds and feeds. We actually get deep into the weeds of business processes to understand how they are enabled and optimized by technology. In addition, our knowledge community of more than 100,000 services professionals is a huge differentiator for us as we can constantly test the pulse of our network with our regular surveys (we talk to more than 5,000 buyers of IT and business services a year). Our webcasts get over 1000 people regularly in them and our research and blogs / soundbites are read by thousands of readers everyday. In short we’re as much as media brand these days as we are analyst – service buyers love our insight and networking, while vendors love our strategic guidance, data and influencer over the buyer. A unique blend of thought-leadership that is underpinned by primary research and real-time survey data from our network. The thought leadership is enhanced through broad C-level access while the primary research is leveraging HfS’ vast community, I haven’t come across any other firm with a comparable focus on primary research. 7. Any favourite AR professional you’d like to mention? Any why? There are too many to single anybody out, but representative for the community a few names jump to mind. Veterans (in the best sense of the word) like Clare Loxley at HP or Jacqui McCouat at IBM, though they have moved on to pastures new. People like Ani Mukherjee at HCL who has grown in statue ever since we met and we have become good friends and shared the odd cigar. Representative for the many small vendors in process automation who don’t have dedicated AR functions, Daniela Zuin at IPsoft is the pick of the bunch. What all of these folks have in common is that they understand my requirements, are proactive and just fun to do business with. 8. Any hobbies or favourite restaurant / food that you’d like to share? I wish there would be more time for escapism, but travel and work takes up a lot of my time. The more I treasure the time we can spend with family and friends, often I end up cooking which I really enjoy. At my advanced age these indulgences need to be balanced by as much sport as possible to stay reasonably in shape. Restaurant? The best find for a long time is the The Chancery in Central London. A new up and coming chef who cooks sublime and innovative dishes. 9. What is your biggest challenges for the upcoming 6 months? And for the next 30 minutes? One of the reasons for HfS to approach me was to take their coverage into adjacent segments and to broaden the client base. Some of this research will be taking me outside my comfort zone but that is equally exiting as it is challenging. That is the only way you evolve as an analyst. As a company to scale while retaining the high quality of research and maintaining a unique culture is another challenge that we all will be working very hard on. 10. Is there another analyst whose work you rate highly? I had the privilege to work with many outstanding analysts over the years. Many of them have become good friends and there are too many to mention. When I started out as an analyst I learned my trade at Gartner from shadowing Steve Brazier who now heads up Canalys. Without aiming to flatter my boss, Phil Fersht is constantly redefining the boundaries of what it means to be an analyst. And last but by no means least, Ian Brown at Ovum. He is an unsung hero but one of the smartest and nicest guys in the business. 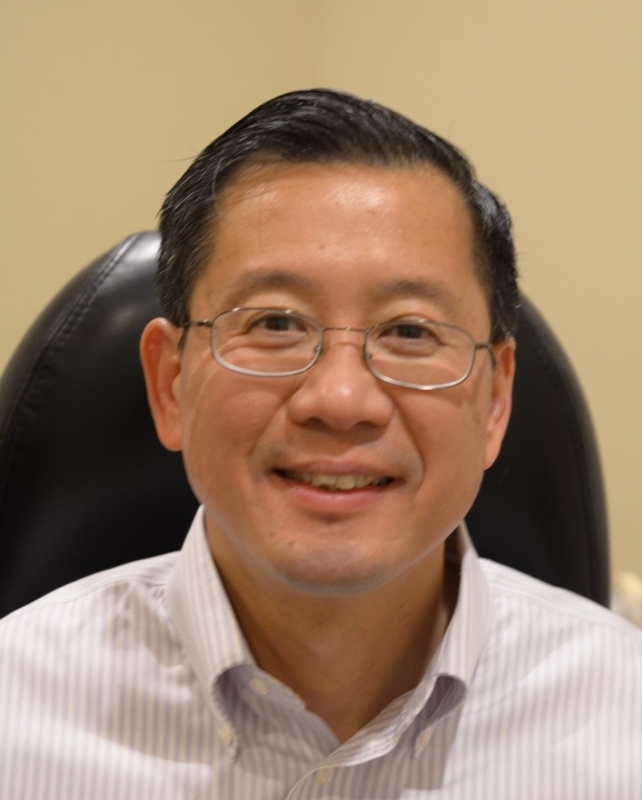 IIAR Webinar – A Fiery Fireside Chat with R “Ray” Wang of Constellation Research and Phil Fersht of HfS. Part-time position available for IIAR Community and Marketing Manager, approximately 2 days per week. Reporting to the IIAR Board with the objective of serving and growing the membership. Manage and post to the IIAR Social Media sites. Knowledge of WordPress, MailChimp, SurveyMonkey, Huddle and Google business apps an advantage. Location: UK with travel to London. Willing to discuss alternative locations. 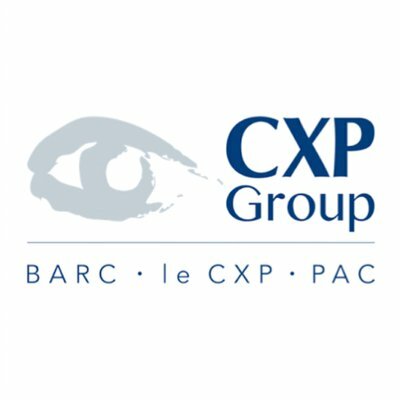 Announcing an IIAR Webinar on 23rd April at 1600 UK, (1700 CET, 1100 ET, 0800 PT) during which Laurent Calot, CEO of CXP Group (includes PAC and BARC) will update IIAR members of the progress since acquisition and his views on European research firms in the global ecosystem. To attend register <<Here>>. IIAR Webinars and all IIAR Events are free to attend for members, there may be a small charge for non-members. Why not Join Now ? 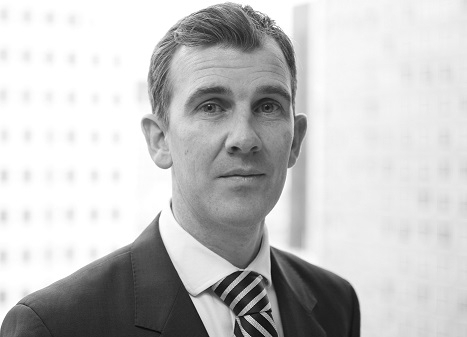 Forrester’s new Chief Marketing Officer, Victor Milligan, will be coming to IIAR UK’s member event on Thursday, April 30, 6-8 PM UK time, to discuss the company’s “Age of the Customer” strategy and the future direction of its Marketing organization. You will leave this meeting with an improved understanding of what Forrester has in store for 2015, including updates on go-to-market model, key research themes, new products, and what it means for AR pros. Register: For Webinar register <<HERE>>. If joining for the Forum in Central London, confirm by completing the form below. This event, as ever, is free for all IIAR Members and (as a special “try-and-buy”) is free to attend for all AR Professionals. Complete the form below to register – now ! A significant involvement in the design and content of the Annual Report, both the Financial Statements and the Front Half, and in the preparation of Financial Communication and Analyst presentations and interim results announcements, if applicable. Financial communications: engaging with the external community (however defined) and presenting the financial results in an insightful and compelling way, including at external conferences(for instance, Annual Global Analyst Summit). 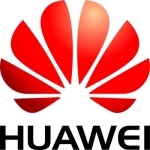 Financial analysis: “question spotting” what external parties will want to know when they read the Huawei Financial Statements and compare them with competitor and industry trends. Critically appraise, and thereby seek to improve upon, current output. Financial reporting compliance: ensuring the highest standards of compliance and best practice reporting, on a level with public company peers in Europe and the USA, both listing requirements and IFRS disclosure and reporting requirements. Handle financial reporting related enquiries from regulatory bodies, if applicable. Play an active role in organizing and, where appropriate, presenting at external financial communication events, for instance, the corporate performance presentation at the GAS and other forms of financial communications with capital markets, industry analysts, the media and other external stakeholders. Provide external financial communication support, such as transmission of key financial reporting information to the Group CFO, BG CFO, Regional CFO, or other financial executives to support their external communications, which may include the preparation of key messages, Q & A material, and, where applicable, face-to-face briefings and presentations. Based on the insights obtained from an external perspective, trigger improvements in the company’s internal management and financial management, as measured by the ability to serve the needs of the external financial communication community. Keep up to date on any developments in accounting standards (IFRS & US GAAP) that will impact the financial statements/annual report, especially the financial disclosure related requirements. Analyse the company financial statements regularly from an external perspective, drive the internal finance staff or accountants to support the analysis. Analyse other company financial statements as part of regular peer analysis, and compare with the Company’s financial reports and business performance. Understand and review the industry analysts’ and financial institutions’ view ofHuawei, and other companies within the industry. Understand their key demands. Understand and review industry developments and how they will impact Huawei’s external reporting. Our client is a privately owned London-based software business with a successful track record within the UK Cyber security market. They are currently looking to significantly scale up their activities across a range of new market segments. This is a newly created senior role to own all strategic and operational marketing activities. The part-time VP Marketing will be responsible for creating a well-defined and articulated marketing strategy, targeting the right customer needs and opportunities, as well as efficient marketing-supported execution through conventional sales or digital demand generation. They are looking for an individual who can grasp the technical complexities of the industry, think strategically, as well as ensure successful marketing execution, be that from the team they manage or with their own sleeves rolled up. Working closely with the CEO and Head of Sales, the candidate will move comfortably between market analysis, product strategy and pioneering effective demand generation campaigns. The successful candidate will significantly impact the firm’s growth and profitability by taking ownership of brand, product positioning, product marketing and go-to-market strategies for the full portfolio of their secure mobility products and solutions. Engage with the CEO and executive team members to identify and develop strategic alliances. Driving licence and willing to travel. Wide range of employee benefits, including private medical insurance, pension scheme and life cover. 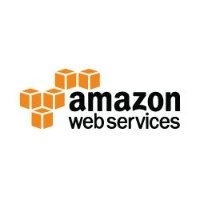 Amazon Web Services (AWS) seeks a creative, self-motivated, high-judgement, well-connected and experienced analyst relations (AR) professional to help drive its communications program. The AWS cloud computing platform is used today by hundreds of thousands of businesses and developers around the world, ranging from start-ups to Fortune 50 enterprises. 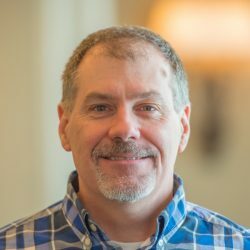 These companies are consuming compute capacity, storage, database services and more in the cloud, rather than undertaking the heavy lifting of maintaining their own data centers. By implementing systems on these foundational components, businesses can focus on adding value to their customers and getting to market quickly rather than worrying about building and scaling physical infrastructure. Cloud computing is arguably one of the most impactful developments in technology within the last 20 years. AWS is a pioneer and leader in the fast growing field of cloud computing. The successful candidate will have the unique opportunity to drive execution of our AR program. The AR Manager role is tasked with driving awareness of the rapidly expanding number of services in the AWS technology infrastructure portfolio. The AWS AR Manager must be comfortable with balancing strategic thinking with tactical, detailed execution while working independently, sorting through ambiguously defined problems, identifying and facing big challenges, and adjusting to sudden and frequent change. The ideal candidate is motivated by learning in a highly creative and dynamic culture where they will need to participate in the challenge of breaking new ground and redefining best practices. In this role, the candidate will have a direct opportunity to impact AWS results, helping to innovate AR processes and communications as needed. 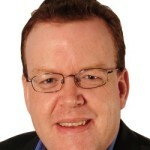 The right candidate possesses media/analyst experience/relationships, is an expert at writing and creating stories, can quickly understand technically deep topics, successfully managed numerous Gartner Magic Quadrants and Forrester Waves, and possess a proven track-record of securing powerful coverage results. Join Apps Run The World and its leaders including President Albert Pang (@appsruntheworld) and Research Manager Miso Markovski (@glusce) for an update on one of the fastest-growing market-research firms covering the ICT space. Apps Run The World research team will discuss their unique blend of supply-side and demand-generation research offerings that could reshape the world of market research, or for that matter how ICT vendors target specific market segments. An added bonus, for those who can make it, join the Webinar live and the post-event get-together in Central London – free drinks and lots of great conversations. Splunk is looking for a highly motivated and energetic candidate to join our Marketing team as an Analyst Relations Manager. This is a great opportunity with a strong potential for growth. The role will report to the Senior Director of Messaging and Influencer Programs. 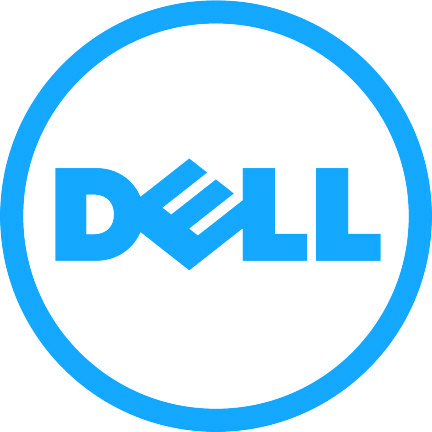 The Analyst Relations Manager is responsible for facilitating regular contact with the analyst community, driving strategic analyst relations programs, collaborating with Splunk sales, marketing, product management and company executives to engage with analysts on new product enhancements, company news and strategic initiatives. Responsibilities: I want to and can do that! Requirements: I’ve already done that or have that! Splunk was founded to pursue a disruptive new vision: make machine data accessible, usable and valuable to everyone. Machine data is a fast growing and pervasive part of “big data”—generated by every component of IT infrastructures, applications, mobile phone location data, website clickstreams, social data, sensors, RFID and much more. Splunk is focused specifically on the challenges and opportunity of effectively managing massive amounts of machine data, and providing a next-generation platform for powerful new applications. Since shipping its software in 2006, Splunk now has over 7,900 customers in 100 countries around the world. These organizations are using Splunk to harness the power of their machine data for application management, IT operations and infrastructure management, cybersecurity, compliance, web intelligence, business analytics and more. Innovation is in our DNA – from technology to the way we do business. Splunk software has become a platform for machine data! Splunk has more than 1,000 global employees, with headquarters in San Francisco, an office in Cupertino, CA and regional headquarters in London, Hong Kong and Singapore. BOARD International is looking for an Analyst Relations Manager with a proven understanding of the Business Intelligence and CPM market. Working closely with the global marketing team to develop integrated programs to support product offering introductions and thought leadership. IIAR Membership and Certification preferred , although not essential. 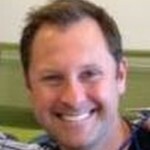 Tableau Software is one of the fastest growing technology companies in the world. Tableau makes fast analytics and visualization products that help people see and understand data of any size or format. The company is on its way to becoming a large, market-defining company in the business intelligence industry and is next in a long line of high profile Stanford spinouts (e.g., Google, Yahoo, VMWare). Customers of all sizes use our products, from Fortune 500 companies, to video game designers, to scientists in the jungles of Central America, to high school principals. Our software is for anyone with data and questions! Additionally, Tableau’s web products ( www.tableaupublic.com ) are used by bloggers, journalists, and major media web sites to share data online as interactive visualizations. Check out our products at: www.tableausoftware.com/product-tour. Tableau’s culture is casual yet high energy. We are passionate about our product and loyal to each other and our company. We value work/life balance, efficiency, simplicity, freakishly friendly customer service, and making a difference in the world. Tableau offers exceptional professional and financial growth potential. Knowledge: knowledge of cutting edge PR concepts from traditional news formats, to newswires and social media. Experience in managing relationships with industry analyst such as Gartner and Forrester. Cross-Cultural Experience: You enjoy the opportunity to travel abroad and have experience relating to customers from a variety of European countries and cultures. Fluency in French or German is highly preferred. The scope of this position is the senior most analyst relations executive regionally within CSC, working internally with clients at all levels (especially senior and executive management) to establish an industry analyst relations strategy and execute across internal and external stakeholder communities. The AR executive is responsible for corporate industry analyst globally for CSC Global Business Services (GBS) offering. Formulating and executing a global GBS strategy for the Corporate Analyst Relations team that involves close, sustained coordination with the company’s business groups with a secondary goal of sustaining a regional engagement program aligned to CSC’s global outreach. Planning, executing and measuring programs focused on complex business content. Cultivating and strengthening relationships with key influencers at major industry-analyst firms, as well as with industry commentators, ensuring that they are current with CSC’s strategy and objectives, and familiar with its technologies, messaging and key executives. Serving as one of CSC’s resident expert in how best to work with these organizations and make the most efficient use of senior executives in dealing with them. Organizing and leading formal and informal briefings with industry analysts, conducted by CSC executives ranging from C-suite executives to experts in narrower subject areas across all offerings units and capabilities. Participating in the formulation of CSC’s strategy for communicating CSC’s vision and major initiatives, working closely with other functions within Corporate Communications, including Corporate Media Relations, Corporate Messaging, Digital Communications and Internal Communications. This position requires an experienced communications professional with demonstrated success in developing and executing go-to-market campaigns designed to position and promote technology offerings in a highly competitive market segment. It involves creative thinking, long range strategic planning, positioning and message development, program execution, project management, cross functional collaboration skills and regular interaction with corporate executives. The Senior Principal Industry Analyst Relation professional is also responsible for managing a group of diverse stakeholders across the company, aligning communications, marketing, offerings and strategic functions as well as evaluating and recommending best of class operating model to serve key internal clients and influential external clients. Driving world-class quality AR cost structure, operations and execution. 10 or more years of related industry analyst experience with a successful track record in building corporate programs and creating and delivering effective communications. Experience driving communications and working with analyst for product and solution roll outs and other corporate announcements preferably in the IT industry. Experience developing and executing strategic, repeatable and successful analyst relations plans. Experience collaborating across multiple internal departments to achieve communication and analyst relationship objectives and programs. Experience in using content management systems, databases, and other technologies, to develop and maintain communication vehicles, such as websites, intranets, social media platforms etc. Proven ability to lead proactive and reactive analyst relations initiatives to achieve positive results. Ability to work in a global, matrixed fast paced environment. Ability to manage multiple projects at once. Ability to win the confidence of senior executives on communications strategy. Ability to manage a team through leadership skills, coaching and mentoring. Energetic personality, with strong interpersonal communication skills. Excellent written and verbal communication skills, including public speaking and presentation skills. Ability to demonstrate accountability for results, and show sound business judgment/decision-making ability. Strong critical thinking and problem-solving ability. Agency experience is a plus. Our inaugural meeting last summer, was a great success, bringing AR professionals from across Germany together to discuss common ground, over after-work drinks in a popular Munich bar. We have now fixed the next get-together for members of the AR community based in Germany, as well as AR professionals who are responsible for AR in Germany. The next IIAR German chapter networking event will be held on Thursday, January 22, once again in Munich – Location details will follow. The IIAR is delighted to announce the election results of its new Board Members for 2015. Following a transitional board meetings in January the new board will be effective for 12 months. 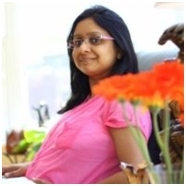 Debleena Paul (@Debleena_Paul, LinkedIn) Industry Analyst Relations Lead at SapientNitro Europe: Location, UK. Yvonne Kaupp (@YveKaupp, LinkedIn) Analyst & Sourcing Advisor Relations at T-Systems International. Location, France. 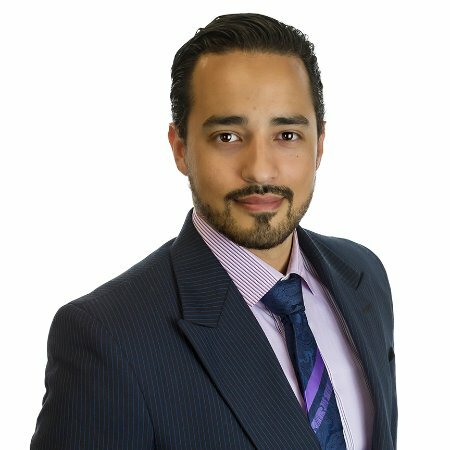 Robert De Souza (@robert_desouza) Director – Advisor Relations at Cognizant Technology Solutions. Location, UK. Successfully negotiating your contract with analyst firms and gaining best advantage from your contract is a key activity for all Analyst Relations teams. This second meeting of a IIAR Discussion Group will review the outcomes document from the first meeting (available <<Here>>) and continue the conversation. As Gartner is the largest of the analyst firms we expect the discussion will no doubt focus here; this will not be to the exclusion of all (or any) of the other analyst companies. Held under Chatham House Rules the discussion will be chaired by Aniruddho Mukherjee (Head of AR and Branding Manager, Europe for HCL Technologies). The aim is to (ultimately) produce an IIAR Best Practice Paper that combines the knowledge of all participants. Of course, by attending you will not only have the opportunity to give your knowledge and opinions but also gain from that of others and have the advantage to submit questions directly. Lets have a lively discussion, the more of you that join in the better, so please don’t forget to REGISTER <<HERE>>. Attending IIAR Events is free for all members, there may be a small charge for non-members. On Wednesday 12th November, 7:30am CET 1200 CET, IIAR member Ludovic Leforestier (AR Director at Bearing Point, @bearingpointar, LinkedIn) will be hosting an IIAR AR Café. This will be an informal get-together to discuss AR-related matters and network with peers. It will no doubt be a welcome break in-between the ever hectic schedule of Symposium. 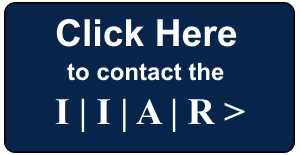 It is also a chance to find out more about the IIAR in terms of what membership offers and events being planned or are currently in the diary. This event is open to all Analyst Relations Professionals (current, past and potential new IIAR Members) and will be held at the Hotel Hilton Diagonal Mar Barcelona, Barcelona, Spain. If you would like to attend please email to receive confirmation and contact details. Analyst Relations: it can be rewarding, exhilarating, frustrating and – despite the fact that we’re often talking with analysts and spokespeople – it can be lonely, too. Especially when you’re the only one at your company who does what you do . . . or even knows what you do! As AR professionals, we are often a team of one, haven’t had much formal training, and are being asked to do more than ever before. It’s not easy. But we’re not alone. We are part of of a global community, one that is growing, evolving and learning to address new challenges every day. For several years, IIAR members in the UK and Europe have taken advantage of IIAR Networking Cafe events to meet up, make new contacts, discuss common challenges and opportunities, mentor each other and strengthen the AR Community.